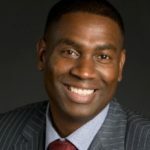 Michael A. Walker – The Barristers’ Association of Philadelphia, Inc.
Michael A. Walker, Esquire, is currently a practicing attorney in the Commonwealth of Pennsylvania as the Principle of the Walker Firm. He has worked for 15 years as an attorney in Pennsylvania and the United States District Court for the Eastern District of Pennsylvania primarily practicing in Civil Rights, Criminal Defense, & Personal Injury. Michael has successfully argued in several jurisdictions outside of the Commonwealth including Ohio, California, Louisiana and New Jersey. Michael is a passionate advocate for civil rights and community advocacy. Michael formerly served as the General Counsel and VP at the Urban League of Philadelphia and the CEO of the Urban League affiliate in Colorado. Michael also spent 5 years as Chief Counsel in the United States Congress serving the Second District of Pennsylvania. Further, Michael was an associate at the Law Firm of Marshall, Dennehey, Warner, Coleman & Goggin, a regional defense firm with offices in Philadelphia, New Jersey, Delaware, Florida and Ohio. Michael worked in the professional liability and litigation department serving as counsel for such noted corporations as Wal-Mart Stores and Honda. Michael currently serves on the board of Rebuilding Philadelphia, and has served on several other boards including Eastern National, the Philadelphia Parks Alliance, the Allentown Chamber of Commerce, the Colorado Downtown Club, the Friends Hospital and the Urban League. Michael also served as Pennsylvania Commissioner appointed by Governor Rendell on the Governors Advisory Council for African American Affairs and was named by the United States Presidents Council for the Next Generation Leaders. Michael was awarded the Young Executive of the Year by the Philadelphia Pyramid Club and has been honored as a top litigator and appellate advocate during his years in law school. In addition to his Juris Doctorate, Michael holds a BS in Psychology & Special Education from the University of Miami, Florida, and is currently working toward a Masters in Business Administration from the Pennsylvania State University. Michael currently resides in Chester County with his Wife and four children, Aiden, Maria, Dove & Penelope.